Chairman, Christian Association of Nigeria (CAN), in northern Nigeria, Rev. 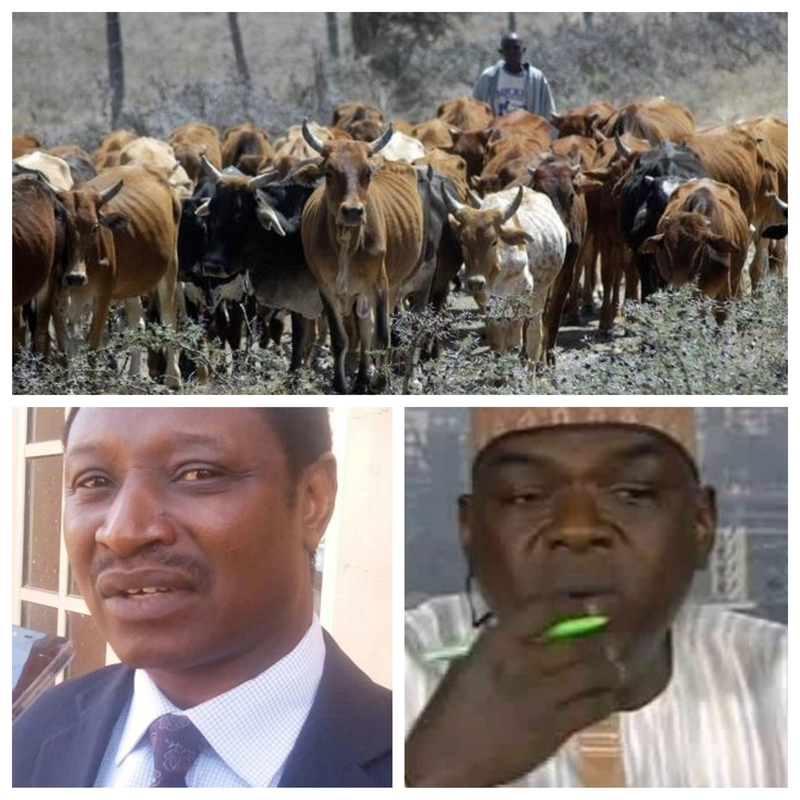 Yakubu Pam has called for the arrest of the North Central Chairman of Miyetti Allah Cattle Breeders Association, Danladi Ciroma, over his comments in the wake of attacks and killings of over 200 villagers in Gashishi District of Barkin-Ladi Local Government Area of Plateau State, at the weekend. Ciroma had attributed the killings of over 150 persons in the state to rustling of 300 cows by suspected Berom youths. Rev. Pam, in a statement in Jos, yesterday, said it was wrong for Ciroma to attribute the killing of women and children, Riyom and some other parts of the state by herders, to reprisal , for the rustling of over 300 cows in the affected localities without any proof of evidence. According to the northern CAN leader, he is happy that the national leadership of the association, through its National Secretary, Usam Baba Ngelzerma, debunked Ciroma’s claims on national television. Regardless, Pam urged security agencies to immediately invite Ciroma for questioning; to get useful information that will help the security agencies arrest perpetrators of the Barkin-Ladi massacre, which caused outrage within Nigeria and all over the world. Rev. Pam noted that nothing could justify the senseless attacks and killings of the locals in parts of Plateau, Benue, Taraba and Zamfara states by elements that have become merchants of death in the northern part of the country. According to him, all well-meaning Nigerians, religious bodies and world leaders have condemned the evil that was visited on Plateau. According to Pam, the protest was originally due to be carried out, peacefully, by CAN Women as mothers but expressed regret that some youth groups hijacked it by vandalising government properties within Rayfield Government House. The Forum of Farmer-Herder Relations in Nigeria (FFARN), a network of academics, practitioners and selected policymakers, with peace-building mandate, has condemned the attacks on communities in Barkin Ladi, Riyom, Bassa and Jos South Local Government areas of Plateau State, last weekend. FFARN, in a statement issued, yesterday, said the recent attacks were beyond farmer-herder conflict, and added that the matter should be investigated and anyone or group of people found culpable should be punished. ‘’The fact that acts of criminality of this nature go unpunished in the past have continued to embolden criminals to act with impunity, which is becoming a major defining feature of their operations. The blurry lines between the conflict and criminal activities need proper investigation for effective delineation of the two and appropriate response’’ the groups said. While canvassing an inclusive, all-people approach to holistically addressing drivers of the conflict, the group also wants government to engage stakeholders, as well as the Plateau state and federal governments, to work together and put in place sustainable structures that will address underlying factors and drivers of the lingering conflict between farmers and herders in the state. The group also said security of citizens is the primary purpose and responsibility of the government, and so, called on the federal government to, in the short term, deploy appropriate security measures to address the growing trend of criminality in rural communities which it lamented was challenging state’s capacity to secure its citizens.